In our last post, we had explained about the primary and secondary books of accounting. Fundamentally, the primary books of accounting are those where the first accounting entry is made, and secondary is that where the entry is posted..
Let us understand what a trial balance is. We had covered what balances of each type of account mean in an earlier post, and then the posting. Eventually all this leads to creation of a ledger account. Each ledger account, as on any date will have a debit or credit balance. A trial balance is a summary of all these balances. Now, whatever entries were passed, had debits and credits, and for each entry, the total of debits and credits were equal. So, quite logically, the total of debit balances and that of credit balances in the trial balance has to be equal. In the paper based old accounting systems (still followed by some small entities), tallying of a trial balance used to be a nightmare. Technology has taken a lot of that pain out. But does technology ensure that the trial balance statement will always be tallied? Not necessarily. Sometimes, due to network failures, hanging entries are created, and the trial balance statement does show a difference. These challenges are normally quite rare in the technology based applications. 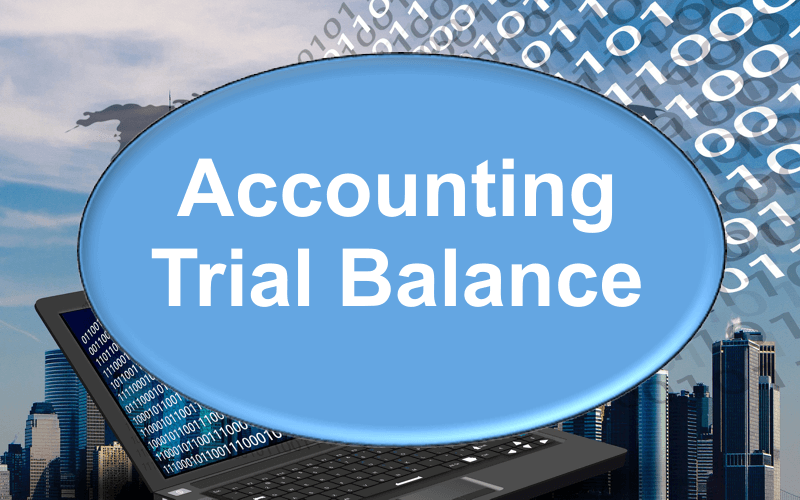 I will talk more on the trial balance in the next few posts. And by the way, even in the outsourcing section, we are currently talking of the trial balance only.